The bill passed out of the Michigan Senate and was awaiting action in the Michigan House. The Michigan Townships Association (MTA) opposed these bills stating that Local Ordinances covering these matters reflect the decisions by local communities and should be respected. These bills died and did not become law in 2018. This bill provides a sustainable funding source for environmental issues such as contaminated site cleanup and water quality monitoring (e.g. CLMP). It also provides much needed funding for contaminants of concern like PFAS. Governor Snyder reportedly supports this bill, and favorable action remains a possibilty. This bill died in Committe during 2018. Senate Bill 1136 was signed by Governor Snyder and will help some lakes in Michigan to fund their battles with aquatic invasive species (AIS). Representatives from MLSA and the Michigan Waterfront Alliance were in Lansing in early December to help educate our legislators about the need for state funding for this costly problem that has been paid for by riparians for decades, while benefiting all who use and enjoy our inland lakes. MLSA and MWA were not alone in Lansing, and we thank Jason Broekstra of the Michigan Aquatic Managers Association (MAMA) who also spoke to the MI Senate Natural Resources Committee in favor of SB1136. The purpose of MAMA is to assist in promoting the management of aquatic vegetation, to provide for the scientific and educational advancement of members, to encourage scientific research, to promote an exchange of information among members, to extend and develop public interest in the discipline, and to participate in any Legislative procedures at any level of government that oversees the use and/or enforcement of the laws, regulations, policies, guidance, and funding governing the use of aquatic pesticides or other forms of aquatic plant management in the waters of the State of Michigan. ARE YOU READY TO BE A LAKE LEADER? Applications and more information are available online. You can also contact Dr. Jo Latimore at MSU: latimor1@msu.eduor 517-432-1491. 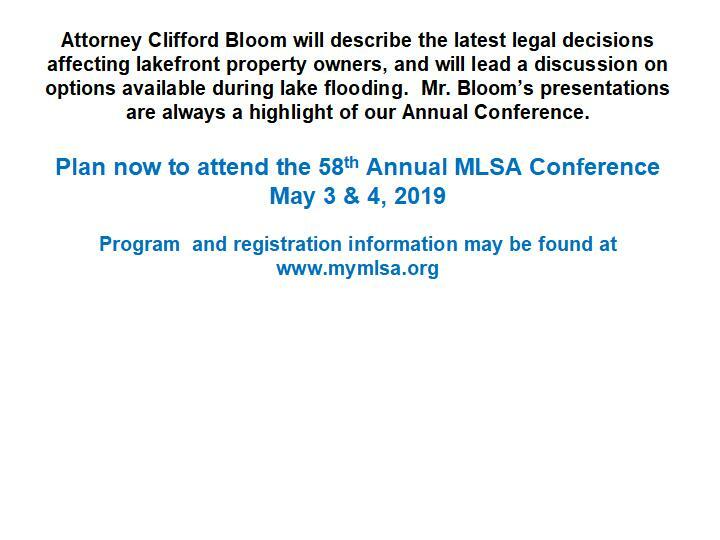 The application deadline is March 31, 2019.
benefit by attending this program. Visit www.mishorelinepartnership.org/events for more information, an agenda and to register or contact Lois Wolfson at wolfson1@msu.edu; 517-353-9222 for other questions. Cost is $45 ($55 after March 1) ($20 for full-time students) and includes lunch, materials and breaks. 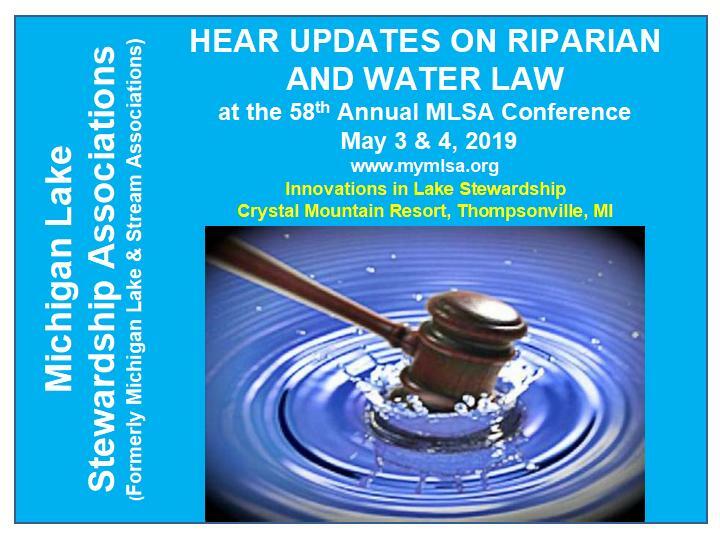 Co-sponsors for the conference include the Institute of Water Research, Michigan State University, the Michigan Department of Environmental Quality, the Michigan Department of Natural Resources, and MSU Extension. Conference contributors include GEI Consultants and Wildtype. MDEQ, Laura Rubin, Ex Dir Huron River Watershed Council Ann Arbor Case example, Dr. Rick Rediske, Professor, GVSU Robert B. Annis Water Resources Institute. DEALING WITH THE SPREAD OF AIS and STARRY STONEWORT: Dr. Doug Pullman, Aquest, Dr. Douglas McLaughlin, senior scientist, and Scott Brown. 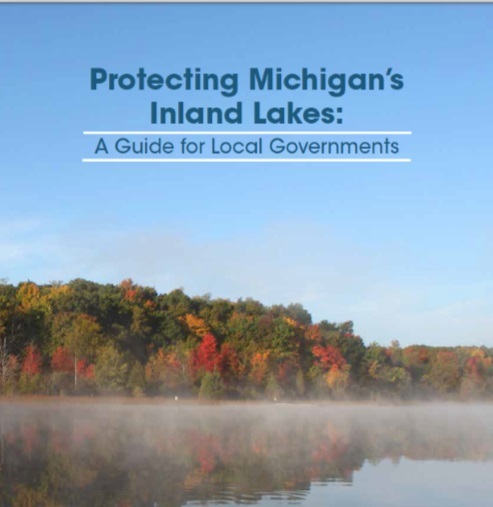 The Michigan Waterfront Alliance, Inc. recently launched a new website in order to more effectively promote its mission of preserving and protecting the high quality of Michigan’s inland waters and the riparian rights of waterfront property owners. Please take the time to view the new site! with Michigan’s lakefront home owners in mind! Click here to order the guidebook now! 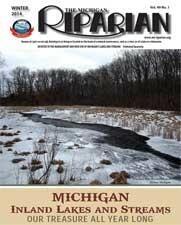 Michigan Shoreland Stewards Program website. The Cooperative Lakes Monitoring Program (CLMP) has been an important component of Michigan’s inland lakes monitoring program for over 40 years, which makes it the second oldest volunteer monitoring program for lakes in the country. 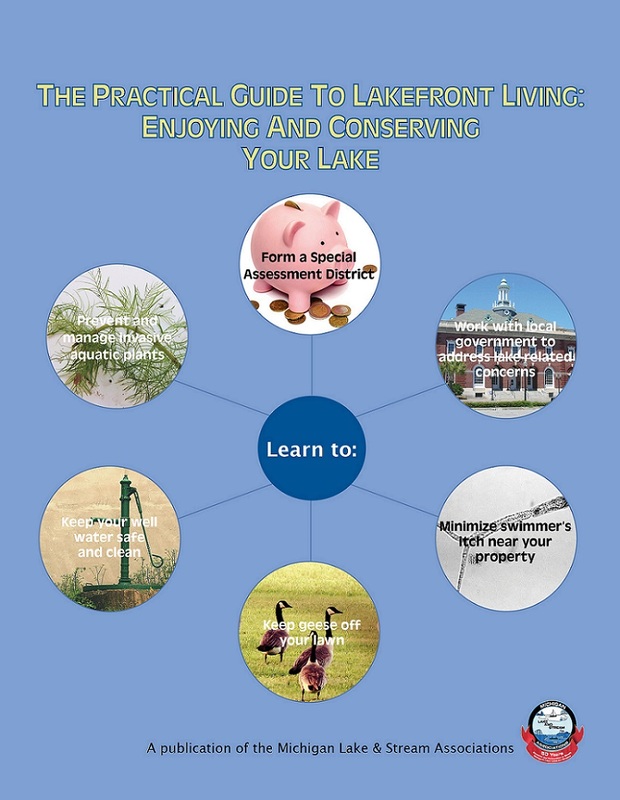 The primary purpose of this cooperative program is to help citizen volunteers monitor indicators of water quality in their lake and document changes in lake quality over time. 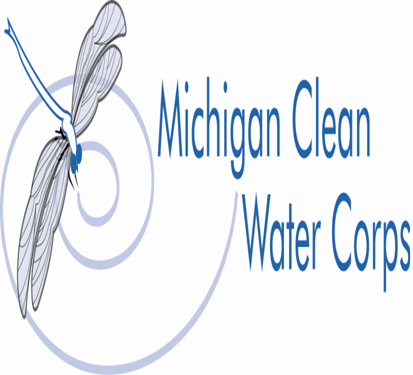 Since 1992, the Michigan Lake and Stream Associations (ML&SA) has administered the CLMP jointly with the Michigan Department of Environmental Quality.